Next year coconut oil will make way for avocado oil and distilling your own alcohol will be common-place! Pinterest has compiled a list of expected food trend in 2016 after analysing the pins of more than 100 million users worldwide. We take a look at what’s on the menu next year. Avocado oil is hyped as being the new coconut oil in 2016. It can be used in a number of ways, from cooking to making mayonnaise (so-called avonnaise). Pinterest has noticed an increasing interest in DIY distilling. Expect a few of your friends to distil whiskey in their kitchen or make infused vodka. When it comes to certain foods, especially breakfast, people are choosing savoury flavours over traditionally sweet options. For example, pouring hollandaise sauce over French toast instead of honey or syrup. 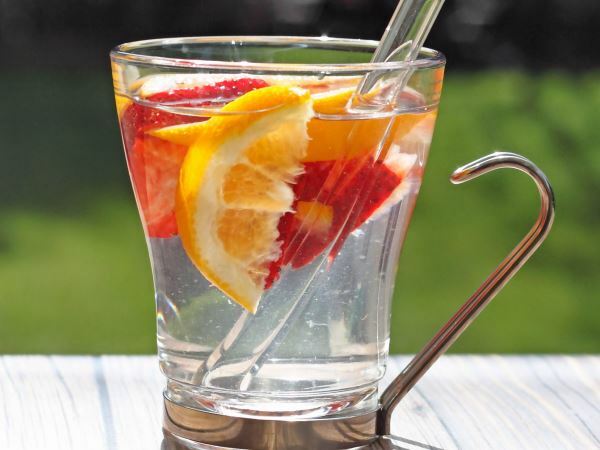 This creative twist on water adds flavour, while being much healthier that fizzy drinks or fruit juice. Take whatever fruit you want – strawberries, blueberries, lemons – let it steep in water for added flavour. Instead of wasting your money on expensive store bought cappuccinos, get yourself a coffee filter and filter dripper and make your own “pour over coffee” at home. Traditionally from Japan, Bento boxes are sectioned food containers used to pack lunch. Instead of packing one big lunch, people now like munching on snacks, which can be conveniently packed into Bento boxes, throughout the day. Traditional dishes like spaghetti bolognaise and curries are sure-fire classics, but can get boring after a while. What’s why chefs are beginning to add a modern twist to traditional favourites by adding gourmet flair. Brewing your own beer at home is becoming an increasingly popular hobby, claims Pinterest. It’s seems like 2016 is beer’s time to shine. Not only is home brewing becoming more popular, but beer is being used to make new and interesting cocktails. This is already a trend in South African (especially amongst banters), but Pinterest expects more and more people will swap carbs like rice and pasta with vegetable alternatives, like caulirice or zoodles (zucchini noodles).